An amazing experience last night at the Japan Society, where Chef Eric Ripert and filmmaker David Gelb, director of the new documentary “Jiro Dreams of Sushi,” joined me for a screening and panel discussion, along with sushi chef Masato Shimizu of 15 East, who spoke on the panel and made sushi on the spot for the several hundred guests. 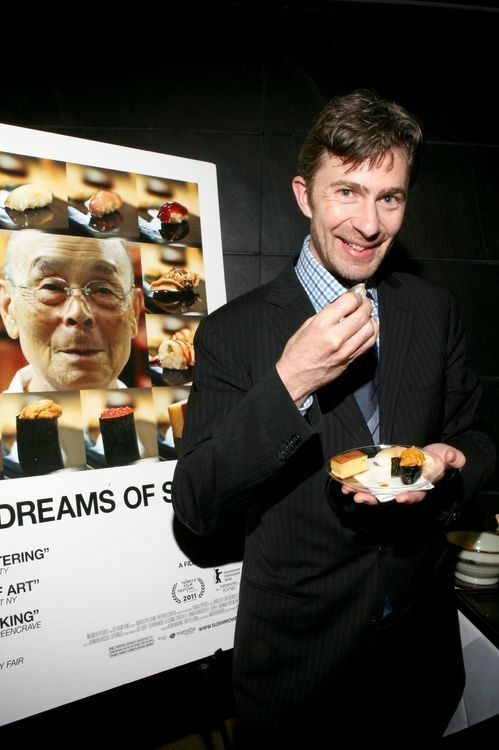 It was particularly apropos to eat Chef Shimizu’s sushi immediately after watching the film, because Shimizu studied in the same sushi-making lineage as the legendary Tokyo master Jiro Ono, subject of Gelb’s mouthwatering movie. Here are some fun snapshots from the evening, courtesy of Japan Society photographer George Hirose. Jiro Ono and his remarkable sushi-making techniques are also featured at a few points in my book The Story of Sushi.